What a shame. Last time, Proton was on par with Korean products. Sometimes, even Proton is better than the old Kia and Hyundai cars. Now new era of proton has come after geely brought proton, the new X70 seem famous around malaysia. soon or later they sure come out plenty copy paste car. 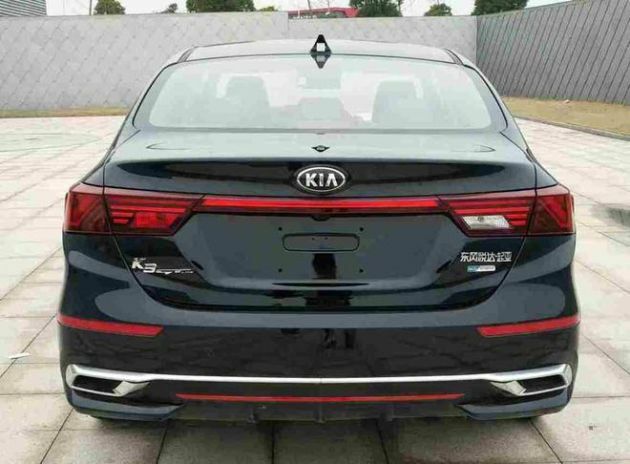 really cheap, Kia been defeat with the price.But im malaysian and i trust KIA to be my only brand. We all know is due to corrupted culture and skin color base policy which causes the failure of Proton before Geely era. If Opposition continues to question of NEP and Bumi policy, continuing influence the weak minds of Malays, don’t expect the country could compete to become a first world country. Singaporeans change their car every 5years for optimum resale value due to COE… Do you change your car every 5years? What’s the confidence the car will last for 10years? Ahahaha time to stick the Maserati logo there and drive to Shangri-la valet parking. Kia and kopy, berpisah tiada. ur proton is no better john. at least kia makes profits! Spending billions R&D only to come out with a copycat. Even if make money it is no different than copycat China brands. Worse than Proton. MaluapaB055kurr…. When you are poor and cannot afford for a real Maserati, you go for Kia K3. When you are poor and cannot afford for a real Alfa Romeo, you go for Kia Stinger. When you are poor and cannot afford for a real Land Rover, you go for Landwind. When you are poor and cannot afford for a real Cayenne, you go for Zoyte. When you are poor and cannot afford for a real Toyota Rush, you go for Aruz. So says the peasants. Spending your time here meant you are not working hard enough. Don’t complain if still remain poor. Someone did say if u born poor its not ur fault, if u die poor its all ur fault. Anything in between, if u complain being poor, is oso ur fault. From entertainment to fashion to car industry, the Korean never fail us on copying. Instead of direct mimic, they enhance it. mintak2 la dashboard lama. kia win exterior design tapi interior tak berapa lawa.